How did Haiti become the poorest country in the Western Hemisphere? There are deep historical reasons for that according to Dr. Paul Brodwin of the University of Wisconsin-Milwaukee’s Department of Anthropology and The Center for Latin American and Caribbean Studies (CLACS) based there. 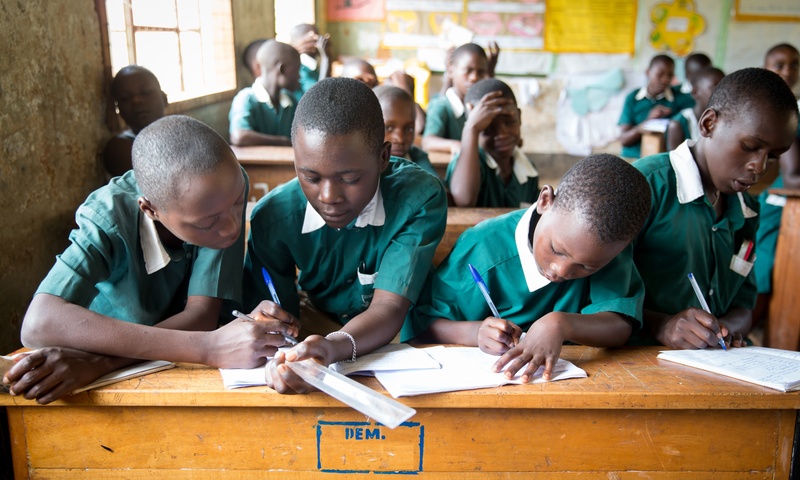 Brodwin provided insight into Haiti’s foundations, its long-term struggles, and barriers to progress in a recent conversation with CARITAS For Children, which has operated child sponsorship programs there since 2010. “Haiti began as a French colony. It was the wealthiest of the French colonies. France had a lot of colonies like Quebec, Guadaloupe and Martinique, but by the 1760s or so Haiti was by far the wealthiest of the French colonies and the wealth was entirely based on the sugar plantations worked by enslaved Africans,” Brodwin said. “It was hugely, hugely profitable, and the way they made those profits was through slavery. The money was so great for sugar at that time, that the demand for slaves was insatiable. It’s a gruesome detail, but economically it made more sense for the plantation owners to essentially work them to death in four or five years, just let them die and then import new slaves,” Brodwin continued. By the 1770s Haiti, which was then known by the French name Saint Domingue, produced about one-third of the gross national product (GNP) of France, but only the white French, the ten percent, were wealthy, and everyone else was very poor. 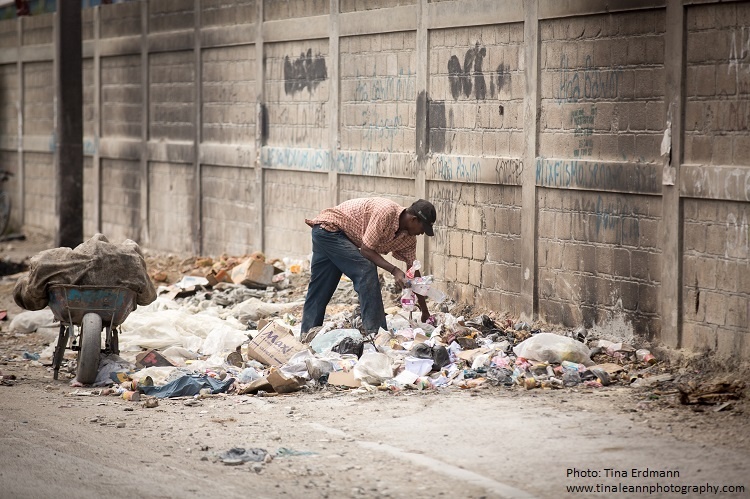 A man collects plastic bottles from refuse on the streets of Port au Prince in Haiti. There are deep historical reasons for Haiti’s status as the poorest country in the Western Hemisphere. 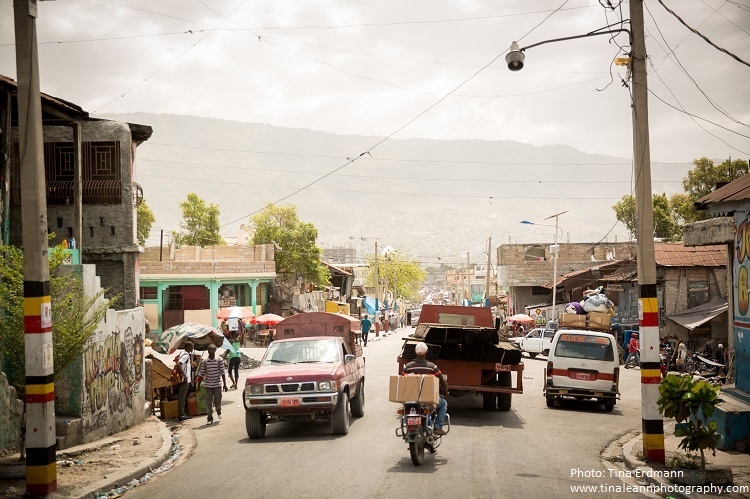 Port au Prince is one of the locations in CARITAS For Children's Haitian child sponsorship programs. In addition, the proportion of enslaved individuals to free individuals was even bigger in Haiti than in the American South. Brodwin related that on a given plantation you might have a nine to one ratio of enslaved Africans to the white French master class. “That kind of society is inherently unstable because there is massive repression and exploitation of the slave labor force,” Brodwin said. “When you read contemporary reports and letters written back and forth from Saint Domingue to Paris at the time, the people who worked on these plantations, the French, would say that this place is like living on a powder keg. It was extremely repressive, extremely violent, and it finally all blew up in 1791 when there was the beginning of a massive slave rebellion,” Brodwin explained further. A huge, thirteen year war of independence ensued from 1791 to 1804 and the French eventually lost in what turned out to be the most successful slave rebellion in human history. “The slave rebellion was no less violent than the society that existed beforehand – it just was a general uprising of people who really had nothing to lose,” Brodwin said. “After the slave rebellion there was an attempt for a few years on the part of the now independent Republic of Haiti, which was the first black republic in the whole world, to revive the sugar plantation economy, which after all was very profitable, but it was unsuccessful because none of the newly freed slaves, the new free people of Haiti, were willing to go back to work on the sugar plantations. It’s back-breaking work, it’s really horrible work. It was the kind of work you get people to do only if you enslaved them. No free person would do that kind of work. “What happened instead, the newly freed individuals, the mass of people in Haiti kind of set themselves up as peasants, small scale cultivators, farmers who traded amongst themselves. They raised beans and rice, goats and chickens, very small scale. They traded this stuff at market from one town to another. That’s how the former slaves decided they wanted it,” Brodwin explained. The economy of Haiti fell dramatically, but it was not due solely to the end of sugar production. Brodwin said the successful slave revolt really scared the United States and France. As a result, along with other trading partners, they embargoed Haiti for the next fifty or sixty years making it even more poor. He said it took until 1862, when within the throes of the United States Civil War and its own attempt to abolish slavery, it became safe and in fact politically wise, for Lincoln’s administration to recognize the world’s first ex-slave republic. For most of the 19th century Haiti was comprised of a majority of peasant farmers, a very small urban elite who controlled whatever import/export business there was, and the army. The army’s role in Haiti’s origins in the thirteen year war of independence made it an important player in Haitian society but not always for good according to Brodwin. "The army controlled national politics so there were no elections. There was no democracy. Presidents would come and go, usually because they had the army behind them, and then there would be a coup d’état and so that would kill one president and the army would install another competitor. So you had a division between the political military class and the peasants. And the money was monopolized by the political military class because it was not a democracy, no one had a voice in it,” Brodwin continued. Fast forward to the first half of the 20th century to an era where the United States military occupied several countries in the Western Hemisphere like Nicaragua, El Salvador, Cuba and Haiti where they had economic interests. The Haitian American Sugar Company (HASCO), an American business, was operating in Haiti in 1914 and Haitian politics were very violent. After quashing a minor resistance from the Haitian military, the US set up a puppet government in Haiti from 1915 to 1934. “But puppet governments are not democratic and with this one there was already a concentration of wealth and power in the politically elite and the military according to Brodwin. The inequality between the rural peasants, who comprised ninety percent of the population, and the urban elite grew even worse. With the political class that favored US interests firmly in power in 1934 the American military could afford to leave. The next major shakeup to occur in Haiti was brought on by the Cold War and American concerns over the spread of Communism in Latin America. François Duvalier, aka Papa Doc, ran for president of Haiti in 1957. He wanted American support so he portrayed himself to American diplomats as the most secure anti-Communist among the candidates and it worked. Duvalier was from the military class and went on to create a ruthless dictatorship. A street in Port au Prince, the capital of Haiti, where François Duvalier concentrated power during his ruthless dictatorship. "One of his tactics was to concentrate power in Port au Prince. So in the 1960s Port au Prince became the center of everything in Haiti, and if one city is the center of everything, the rest of the country has nothing. So that was yet another step toward rural Haitian poverty. “It was an incredible concentration of wealth and power – that’s what a dictator likes to do, it’s easier to rule a country if you have one city where everything happens. And he ruthlessly oppressed any political opposition. When he died, he passed the baton to his son, Baby Doc [Jean-Claude Duvalier] – and Baby Doc ruled basically in an equally ruthless fashion up until he was kicked out by a popular unrest in 1986,” Brodwin explained.